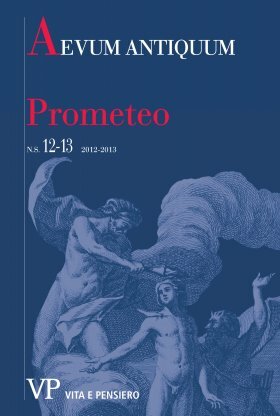 The article surveys the interest of some British Second Generation Romantic authors in the myth of Prometheus, showing interconnections (both textual and biographical) between the interpretations of Byron, P.B. Shelley and Mary Shelley. This discussion is followed by a text of P.B. Shelley’s hitherto unpublished translation of Aeschylus’s Prometheus Bound (Bodleian MS. Shelley adds. c. 5. fols. 73-84).